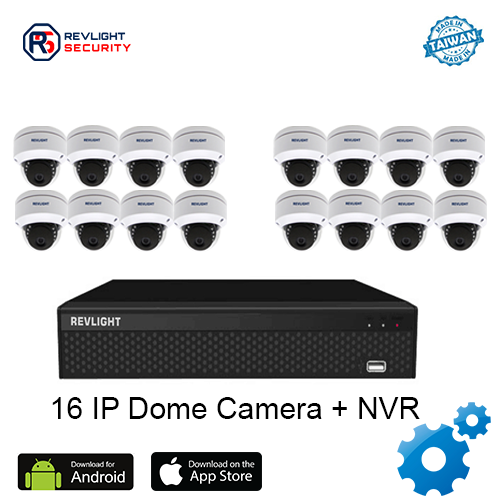 Our 16 Camera NVR Security System Consists of 16 IP camera including one 16 channel nvr system with 4 TB video recording storage, which has 1 year warranty. Note: Installation only provided in Singapore. When you are investing in an IP security camera system you want the best HD CCTV camera you can afford. A 16 Camera IP Security System is just that. The IP cameras are small, deliver high quality video (1080 lines of resolution) and is even weatherproof. With the camera you get an adjustable easy-mount bracket that can be used for either ceilings or walls. Contact to our Revlight Security Team ? Your home, your business is unique. An IP camera with NVR can be customized to fit your needs. Too many choices to make? 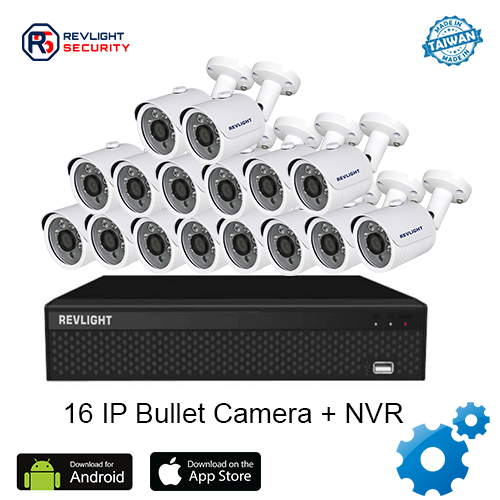 Keep it simple and talk to our Revlight Security CCTV Team experts today for a free consultation at +65 6678-6557.